Forests, many rivers, lakes and fertile lands began to attract people to these places thousands of years ago. From the 3rd to 5th centuries, the territory of the modern city was inhabited by Finno-Ugric and Volga-Finnish tribes, and by the 9th century the Slavs settled here. They peacefully neighbored with indigenous tribes, engaged in fishing and hunting, as well as various crafts. The very first mention of the city concerns the period when Prince Vladimir came to these lands. Here he founded the city and named it by his name, and also built a beautiful church of the Blessed Virgin. At the beginning of the 12th century, during the reign of Vladimir Monomakh, Vladimir became an important military object of the Rostov-Suzdal principality. In the middle of the 12th century Vladimir received the status of the center of the specific principality, after which its development began to proceed even more actively. One of the important directions in the development of the city was construction and culture. Here, there was a school of painting, a manuscript chronicle was conducted, a Golden Gate was built and many additional fortifications were built. After that, the first duty stations appeared in the city’s territory, including the first institutions of public education, a printing house and a library. In the XIX century, Vladimir was the place of exile of Russian revolutionaries, and during the war with Napoleon, it played a key role in several important battles. By the end of the century the city began to develop as an industrial center. A new railway route connected it with the current capital of Russia. 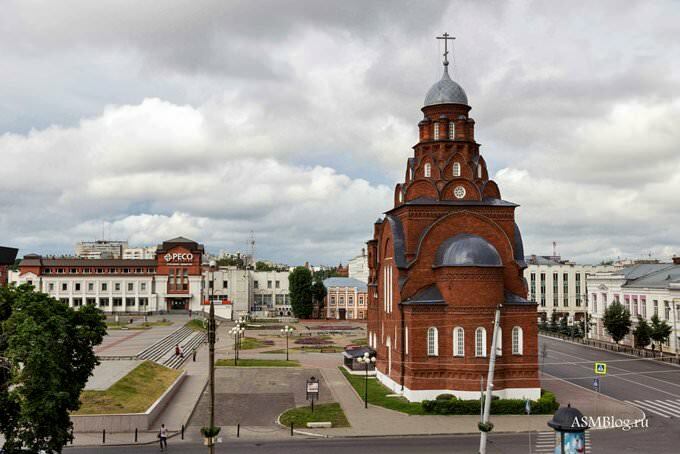 At present, Vladimir is a large industrial city and a cultural center with developed infrastructure, as well as developed international connections. Like many hundreds of years ago, it is famous for its amazing nature and priceless historical monuments which attracts travelers. 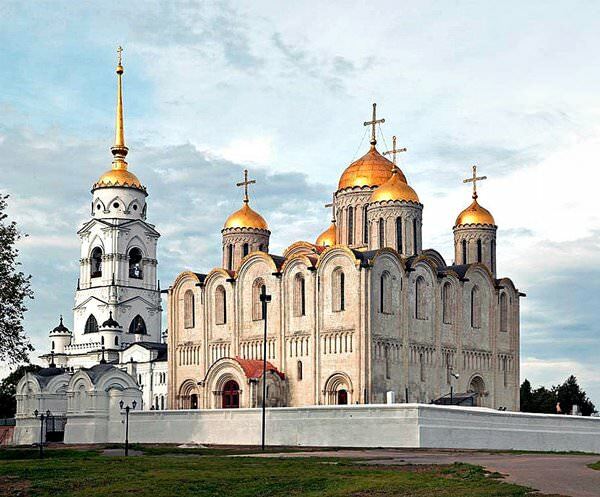 Vladimir is a city with a lot of unique historical and religious attractions. There is the Cathedral of the Assumption where many great Russian princes were crowned. The cathedral had been founded long before Moscow was formed. After hundreds of years, it has preserved its magnificent appearance and incomparable interior. Many finishing elements of the cathedral have been preserved since the 12th century. 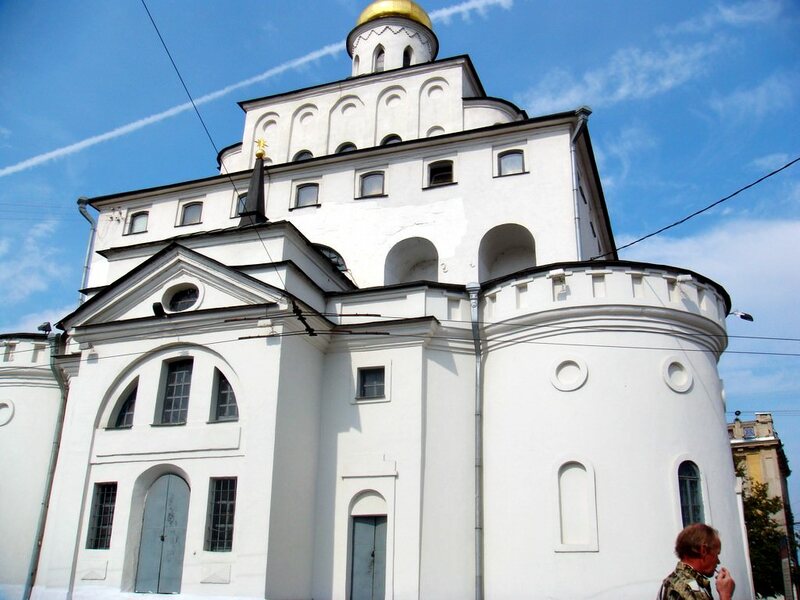 Its visitors can see here incredibly beautiful frescoes made by Andrei Rublev. Another impressive construction is the Cathedral of St. Dimitriy built in the 12th century. At the beginning of the 13th century, this wonderful cathedral lost a lot of values and was repeatedly exposed to attacks of the Mongol Tatars. This building has quite a difficult fate. It was destroyed in a fire several years, so it lost all of its original elements of the decor. In the 19th century, the building was reconstructed unsuccessfully and lost some inimitable values. The cathedral was restored and regained its original exterior only at the beginning of the 20th century. The important historical symbol of Vladimir is the Lipki Park founded in 1901. Now, this is a single complex with Pushkin Park. When walking along the park, you can admire age-old trees. In summer, its territory is decorated with big flower beds. In the center of the park, there is a big fountain with a statue. Over the recent years, a lot of recreation areas and children’s playgrounds have appeared in the park. The true landscape masterpiece is the Patriarchal Garden that is very interesting to visit in the warm season. The small park occupying almost 3 hectares was set up for the patriarch in the 16th century. That time, there was a beautiful cherry alley but it hasn’t survived to this day. Now, the park presents the interesting collection of decorative plants and flowers. Here, you can admire old stone decorations, fountains, and decorative pools. The beautiful historical building built of red brick in the early 20th century serves as the History Museum now. Here, you can see archeological exhibits of the Stone Age, pieces of art of different epochs, and collections of ethnographic exhibits. The considerable part of the collection is dedicated to the history of the Vladimir Region. This guide to iconic landmarks and sights of Vladimir is protected by the copyright law. You can re-publish this content with mandatory attribution: direct and active hyperlink to www.orangesmile.com. Check on the map: Distance from Vladimir center - 1.9 km. All about Vladimir, Russia - sightseeings, attractions, touristic spots, architecture, history, culture and cuisine. 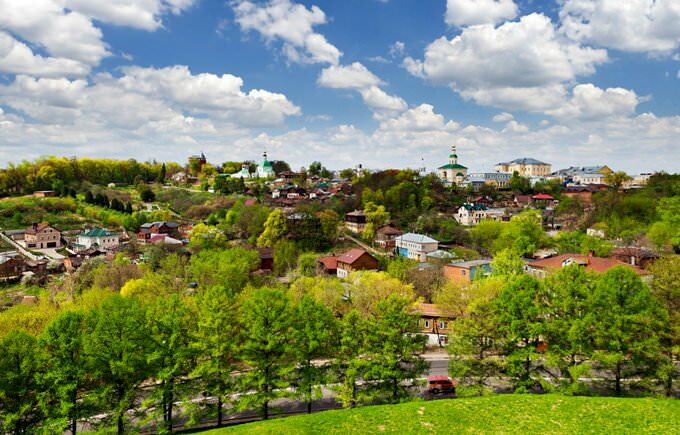 Prepare your trip together with OrangeSmile.com - find out the 'must see' things in Vladimir, which places to visit, which excursions to take, where the breathtaking views are waiting for you. Planning your trip with this travel guide will help your to get the most out of Vladimir in few days.